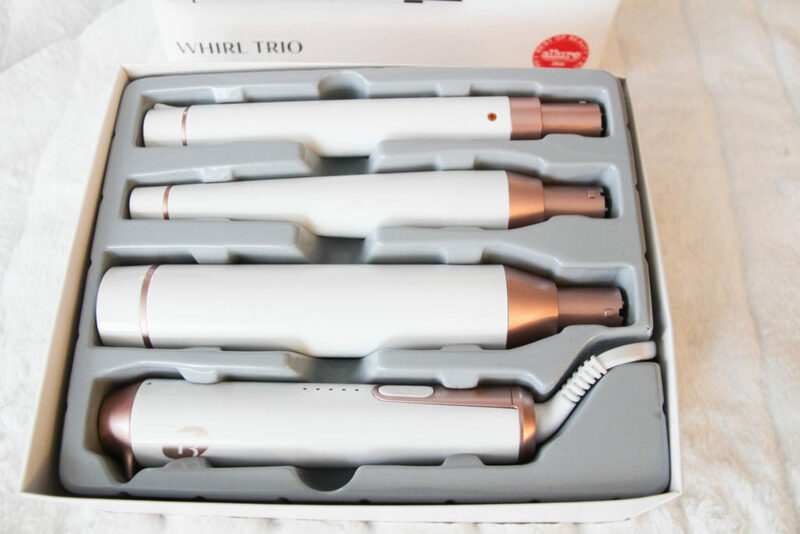 If you’ve been following my blog posts in the last little while you’ve probably noticed that I’ve had curly or wavy hair in some of my photos 🙂 I received the T3 Whirl Trio curling iron for my birthday and I’ve been experimenting with different looks. After using it for about a month and a half I thought it would be good to provide a review since there’s so much buzz surrounding this product. 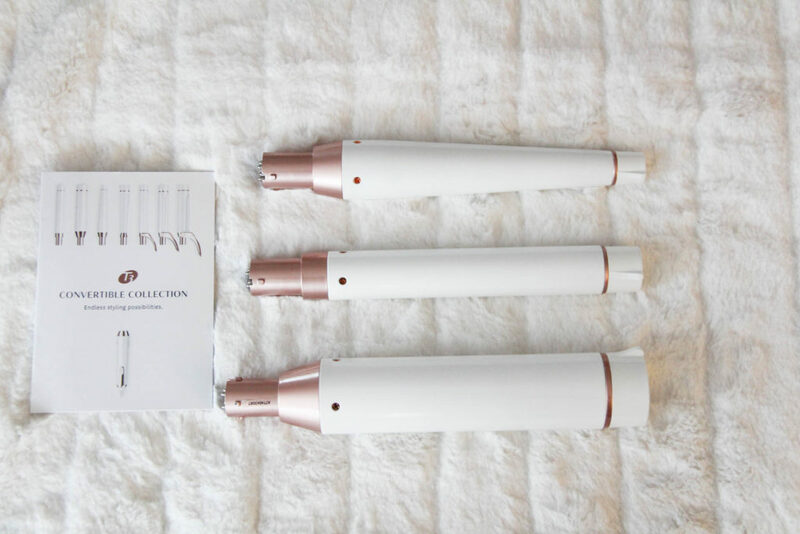 The T3 curling iron has an expensive look to it. It’s actually quite lovely to look at and comes in an off-white colour with rose gold details. The power base has 5 settings and LED lights behind each setting (I usually keep the heat low at setting 2 or 3). The curling iron heats up fast and can get very hot! This product travels well and is dual voltage compatible. I took my T3 with me on my trip to Dubai and was able to use it by adding in a converter plug for the prongs. The Trio comes with a power base and 3 different types of interchangeable barrels. The 1.25-0.75 inch tapered barrel allows you to create soft tousled waves. The 1′ straight barrel is used for undone waves and the 1.5′ straight barrel creates loose waves. The power base and the barrels are made of ceramic. 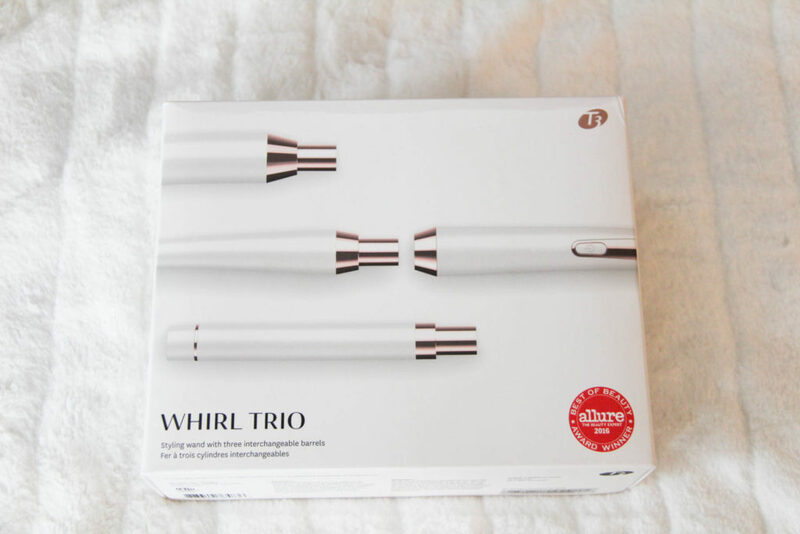 One of the distinguishing features of the T3 trio is that the barrels are all clipless, unlike many other curling iron barrels. This takes a little getting used to so there’s a bit of a learning curve with this product. You basically wrap your hair around the barrels and hold it in place. The T3 does come with a heat resistant glove which can be used for extra protection. T3 products are definitely more expensive than other brands. The trio costs around $350 CAD depending on where you buy it. I believe mine was ordered online from the Bay. 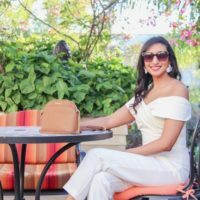 I’ve used many different ranges of curling irons from the Conair Clip Irons to the Curl Secret however I was never happy with the results from these products. I always struggled with the clip irons as I could never get both sides of my hair to look even and the curl would come apart throughout the day. 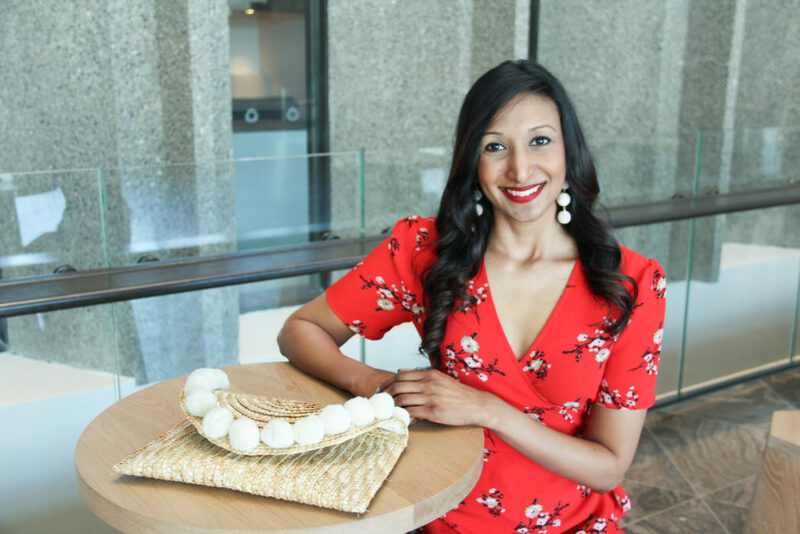 I tried the Curl Secret which essentially does the work for you but it’s time consuming as you can only curl a small portion of hair at a time. This is a limitation of the product as the barrel chamber is fairly narrow. I found the curls lasted longer with the Curl Secret but the process was too tedious.